LIBRARIES are never going to make money if they dish out books for free, the government has claimed. New research found that the average user spend per library visit is nothing, prompting ministers to question the validity of the business model. A government spokesman said: “They deserve to be shut down if they insist on letting people take books, read them and bring them back. 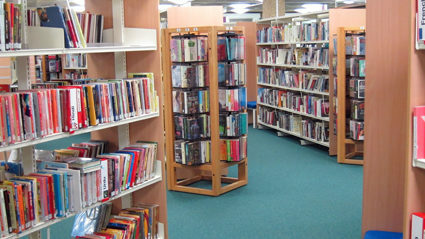 “Libraries should be more like Amazon or Waterstone’s, where you pay a sum of cash for the book then keep it. “But it appears that every library in history has functioned this way, even the Great Library of Alexandria built in 300 BC was a total failure if you look at revenues. MODERN fathers are just as capable as mothers at getting tediously over-emotional about their babies, they have announced. Increasing numbers of dads are proving they can be horribly sentimental about being a parent in a way that makes others feel nauseous. 31-year-old Tom Booker said: “Having a baby is the most incredible adventure you can go on, apart from actual adventures like going into space or up a mountain. “I’m always telling people how my son Finlay is my greatest achievement, although I worry about the world I’ve brought him into. That’s so profound they often go away immediately to think about it. “He’s made me realise there’s more to life than shallow things like making tonnes of money or sleeping with loads of women, which obviously is what I was doing before with great success.